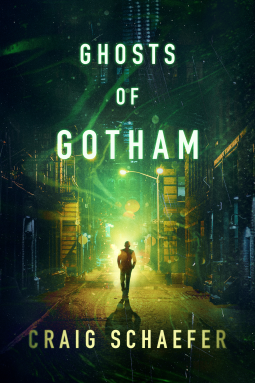 Ghosts of Gotham, out on the 9th April 2019, is the latest book from Craig Schaefer, who has spent the last few years writing a consistently high-quality collection of interlinked books in the form of the Revanche cycle, the Daniel Faust series, the Harmony Black series, and most recently the Wisdom’s Grave trilogy. I was given an advance review copy of the book by Netgalley in exchange for an honest review. This review avoids spoilers as much as possible. I always enjoy Schaefer’s nuanced characters, and this book was no exception. Most authors in the urban fantasy genre either write antiheroes or paragons of virtue, but Schaefer seems to enjoy giving even the noblest of characters a few fatal flaws to make them feel more real and complex, without veering into edgelord grimdark territory. Lionel, the protagonist of Ghosts, is one of Schaefer’s more wholesome characters, but even he has some personality traits that make him more than a clichéd urban fantasy hero. Like Schaefer’s other protagonist, Daniel Faust, Lionel is prone to snarky humour. Despite this superficial similarity the two read quite differently, and I never felt that I was just reading another Faust story as I got into the meat of Ghosts of Gotham. The supporting cast is also highly enjoyable, from Lionel’s work colleagues and friends in Chicago to the weird and wonderful denizens of New York whose acquaintance he makes during the course of his search for an original Poe manuscript. On the surface, Ghosts is a literary mystery story, but it’s not too long before the straightforward plot goes off the rails and introduces us to a new world of magic and mysteries not linked to Schaefer’s previous works. I thoroughly enjoyed Lionel’s trip down the rabbit hole and didn’t want the novel to end. I’m absolutely certain that Schaefer’s existing fans will love this book, but equally I’d highly recommend this as an opportunity for new folks to come into a series on the ground floor and have a taste of what’s on offer from one of my favourite urban fantasy authors. I really, really enjoyed this book. 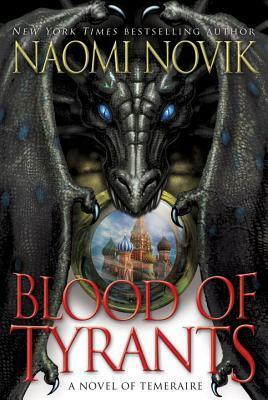 I received a review copy from Netgalley and then devoured it in a few hours of breathless reading. I liked it enough that on finishing it I immediately logged in to my Kobo account and bought all nine of the other books I could find by this author. At its heart, Life or Death is a good old-fashioned crime thriller that reminded me of Richard North Patterson or John Grisham at their best. The plotting is very neatly done done, with the story unfolding in a series of neat and logical revelations that prove to be very satisfying by the end. Some might complain about the ‘luck’ and coincidence that ties the story together, but for me it was very fitting to the subject matter and never strained credulity past the breaking point. I’m pleased to say that there was no evidence of characters acting stupidly to further the plot or to provide artificial tension or twists. While people act foolishly at times in the book,they do so in ways that are consistent with their characterisation, histories and circumstances. A lot of crime thrillers seem to taper off towards the ending or introduce an artificial scene where the protagonist is endangered unnecessarily just to ramp up the tension in a fairly transparent way (I am so sick of authors writing scenes where the protagonist can’t reach their support network of police or other allies due to storms, phone problems, being suspected of being the murderer, and so on…) but Life or Death has an ending that is as satisfying as its beginning. Finally, I really enjoyed the characters in this book. They all felt like living, breathing people with hopes, dreams, and fears, and the protagonist Audie Palmer is one of the most likeable fellows I’ve read about in recent memory. Even the villains are portrayed as more than thumbnail sketches of eeeeevil with their own motivations and rationalisations for their actions. This book is highly recommended. Comparisons with Rita Hayworth and the The Shawshank Redemption are well-earned. I received an Advance Review Copy of Slow Bullets from Netgalley and read it a few weeks ago (before devouring the sublimely wonderful Poseidon’s Children by the same author. If you haven’t read that and the rest of the series – Blue Remembered Earth and On The Steel Breeze you should do so immediately). A vast conflict, one that has encompassed hundreds of worlds and solar systems, appears to be finally at an end. A conscripted soldier is beginning to consider her life after the war and the family she has left behind. But for Scur—and for humanity—peace is not to be. On the brink of the ceasefire, Scur is captured by a renegade war criminal, and left for dead in the ruins of a bunker. She revives aboard a prisoner transport vessel. Something has gone terribly wrong with the ship. Passengers—combatants from both sides of the war—are waking up from hibernation far too soon. Their memories, embedded in bullets, are the only links to a world which is no longer recognizable. And Scur will be reacquainted with her old enemy, but with much higher stakes than just her own life. My initial response to the book was one of disappointment, but only because I had been hoping for a novel rather than a novella. Once I got past that, I found Slow Bullets was a short, enjoyable read that managed to pack in a surprisingly large number of interesting ideas and concepts in a small amount of space. The Slow Bullets of the title are data storage devices that replace the function of dog-tags in this far-future setting, but they are only the most literal representation of the motif in this story. Words, written for posterity; people who travel across interstellar distances at slower-than-light speeds and thus become displaced in time; these too are slow bullets fired through time. Fans of Alastair Reynolds’ work will almost certainly enjoy Slow Bullets, but this would also be a good jumping on point for those who are new to the author. It isn’t set in one of his established settings and forms a self-contained and intriguing story that could well whet people’s appetites for more of his work. I was lucky enough to be approved for an uncorrected draft copy of “Killer” by Jonathan Kellerman. This is the latest in the series about Alex Delaware, a psychiatrist who consults with the Los Angeles Police Department to help them solve crimes, principally with his gay homicide detective friend, Milo Sturgis. “Republic of Thieves” is the long-anticipated third book in the Gentlemen Bastards sequence, preceded by “The Lies of Locke Lamora” and “Red Seas under Red Skies”. The latter of these was published in 2007 so it has been six years between volumes. I was lucky to receive an Advance Reader Copy of “Republic of Thieves” from Netgalley.com and I will do my best to review it here without any spoilers. How does the third book in the series compare to its predecessors, and is it accessible to people who read the previous book six years ago?